I love crisp, rich music. I hate earbud cords and ill-fitting earbuds. Which is why I love Deific Design Bluetooth Earbuds. These Bluetooth Earbuds have deep, true bass, incredibly clear tones, and have a feature that most earbuds do not: they actually fit my weird shaped ear canals! 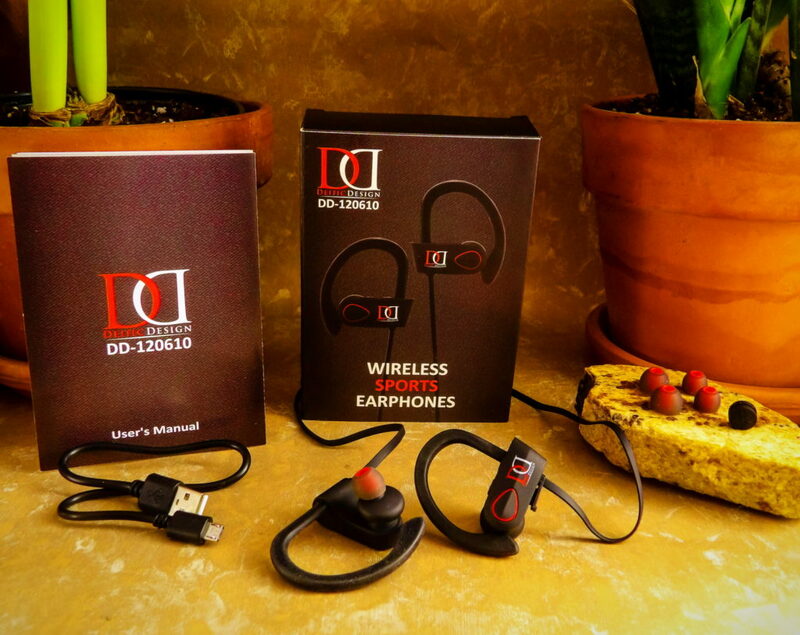 Instead of the standard hard speakers of most earbuds, Deific Design Bluetooth Earbuds come with multiple sized covers, and there is one that is small enough to be comfortable in my ears. That alone is enough to make them my favorite pair, but the fact that I discovered instruments and notes in favorite songs that I hadn’t heard even from my top of the line, no cost spared speaker system makes them indispensable in my book. Our office recently underwent a move, and my office space seems to be the acoustic apex of the place. It doesn’t help that the people on either side of me use speakerphone for absolutely every conversation. Ever tried typing an email when three people are talking to you at once, on three different topics? It’s like that. So I wanted a set of earbuds so I could listen to music to block out the ambient noise, but still be able to hear if someone came in my office. I also wanted something subtle looking. These earbuds work great on all counts. Ambient noise is dulled, I can still hear what needs my attention, and my hair covers the thin wire behind my neck, so it is relatively inconspicuous. I also really like the phone notification feature. 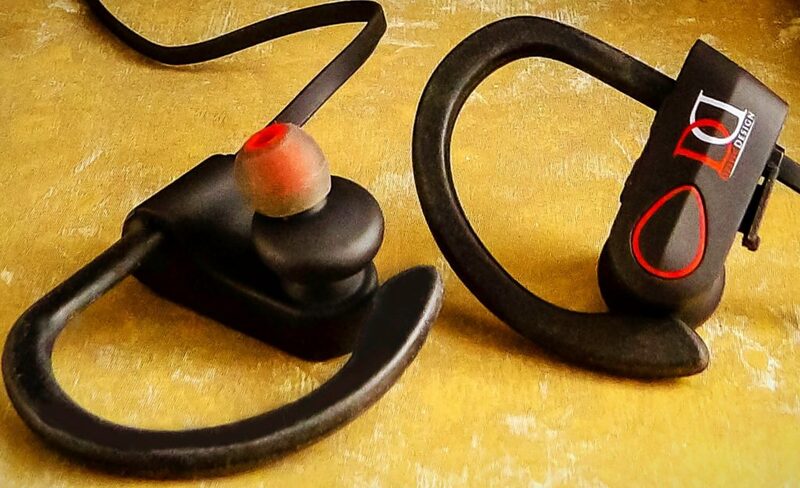 When a call comes in, these earbuds notify you and give you the number. This is a nice feature if I’m not in eye-view of my phone and a call comes in. The sound quality on phone calls is excellent as well. While it does not have a microphone, it makes it easier to answer and talk on the phone when I’m juggling several items. Do you take the train to and from work? I’m really enjoying Netflix’s new download feature to be able to watch on the go. I tried a few different earbud and earphone configurations, and I like Deific Design Bluetooth Earbuds for sound quality with videos on both my Kindle and iPad while watching videos. The instructions in the manual that come with the earbuds is pretty comprehensive, so be sure to read it through before you use the earbuds. Of note, be sure to charge the earbuds for an hour and a half before use, and familiarize yourself with the buttons. Take a couple of minutes to make sure you know where each button is and the uses of the handy Multi-Function Button, and you will be able to use the earbuds without having to look at them. Ending a call, redialing a number, skipping a track, etc., will become second nature in no time! It’s also worth spending some time learning how to pair the earbuds with two devices, especially if you are using then with your tablet to watch a movie but still want to be able to receive phone calls on the earbuds. Have you ever accidentally dropped your earbuds in water and ruined them? I have (many times). 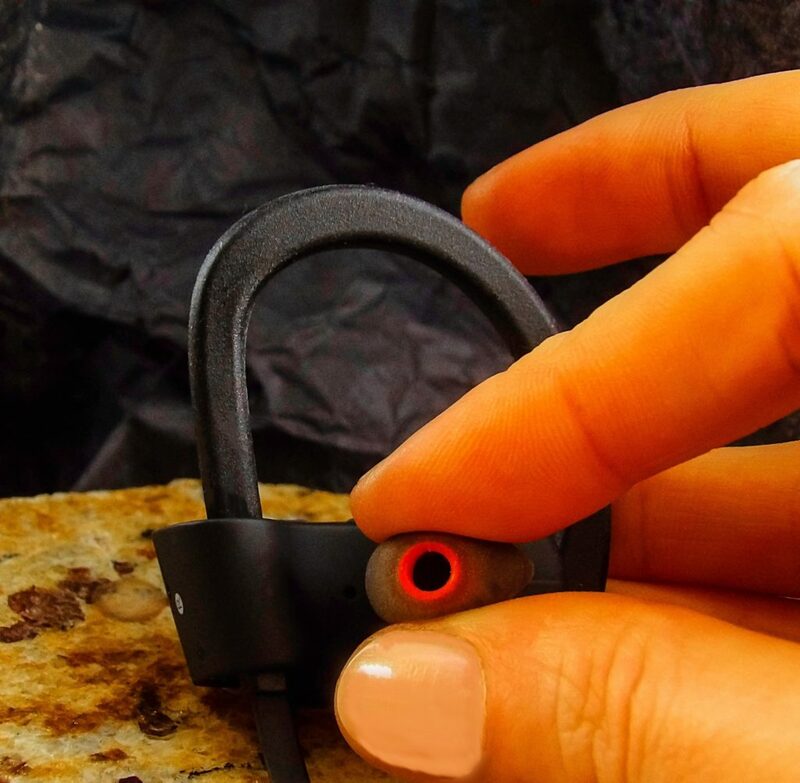 A quick tumble into a cup of tea won’t be a problem with the Deific Design Bluetooth Earbuds. While they aren’t meant for swimming or showering, they are water-resistant. 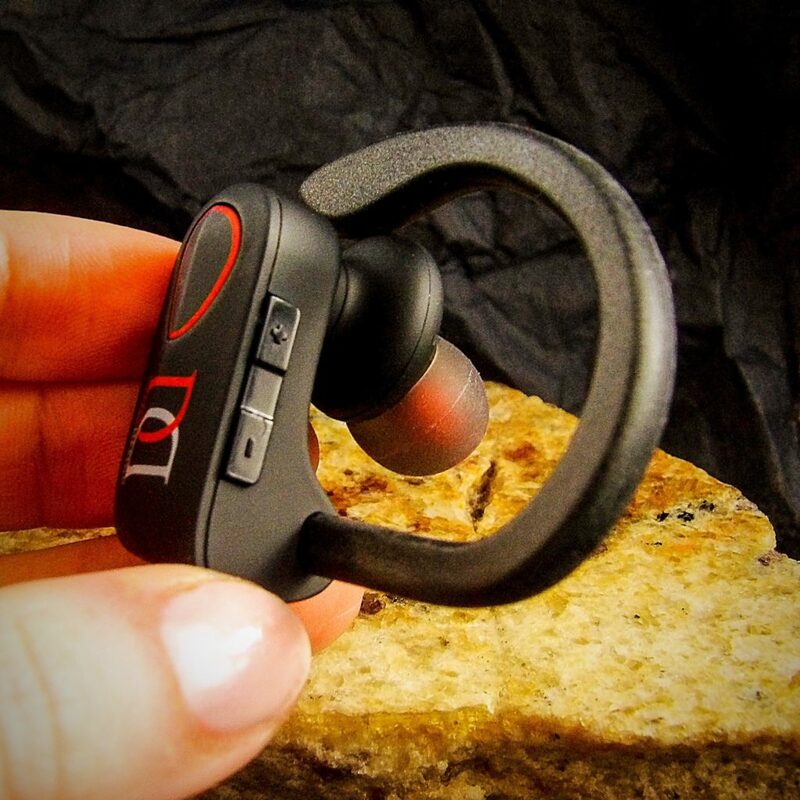 So whether you enjoy listening to music in your hot tub, the bath, or are just clumsy like me and your earbuds occasionally end up meeting with water, you will continue to enjoy the high-quality sound of these great earbuds. The good folks at Delfic Designs want you to be entirely happy with your purchase. If you have any questions or concerns, contact them. Whether the answer is troubleshooting, a refund, or a new pair, they will make sure you are 100% happy with your decision to buy these great earbuds! Finding some great Black Friday deals at Amazon? I have one more that you should add to your cart before checking out. 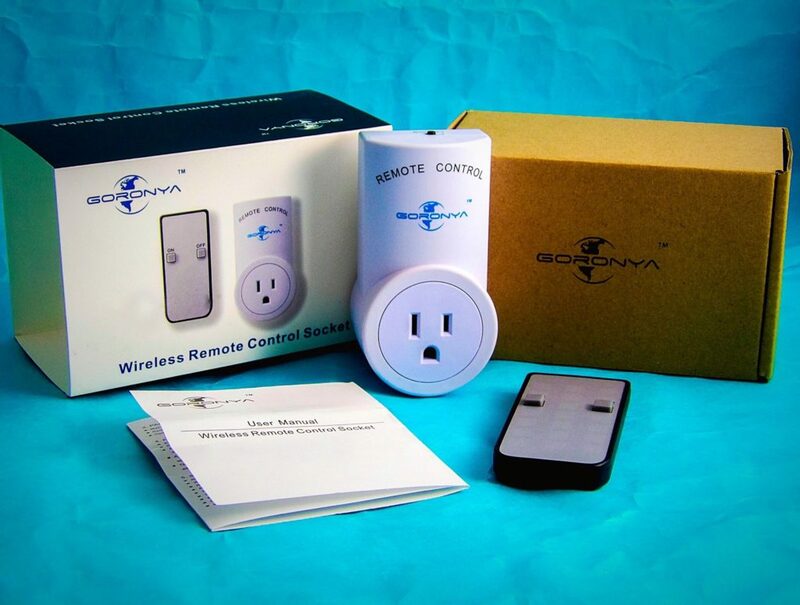 Regardless of what electronics you have picked up, the Goronya Wireless Remote Control Outlet Switch Kit will make your life much easier. Set up is incredibly easy. Simply plug your device into the outlet, and hold down the remote switch for a few seconds. It will sync, and your device will turn on! Additionally, by controlling a device at the socket, you will save 15% electricity over leaving it plugged in on idle power. 1) Turning on a Lamp: Instead of stumbling across the room to turn on a lamp, simply plug it into this outlet and use the remote to turn it on. If you like sleeping in complete darkness but need some light to get up, this is a great option, and certainly safer than stumbling around feeling around for the light switch. 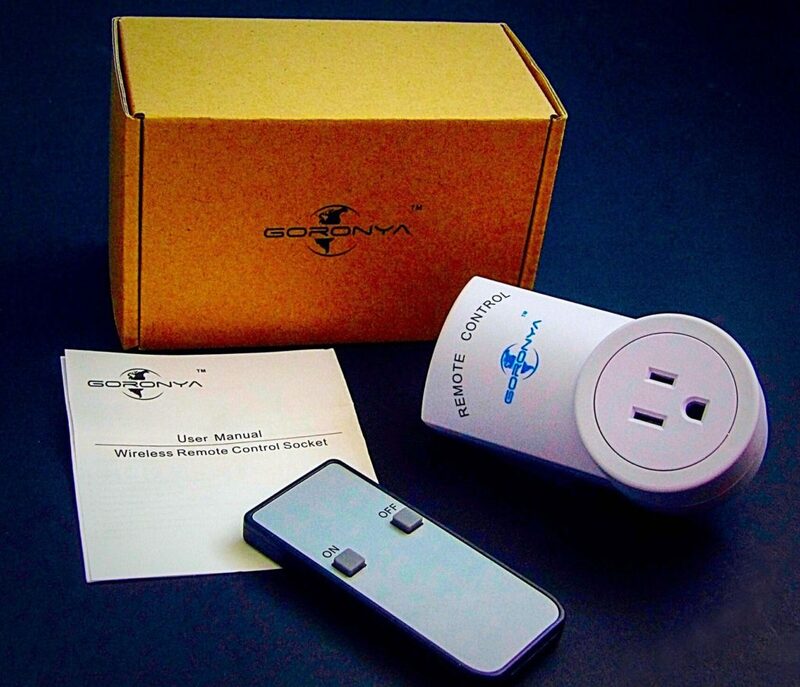 2) Turning outside lights on and off: the Goronya Wireless Remote Control Outlet Switch Kit has an impressive range of 100 feet and works through walls. 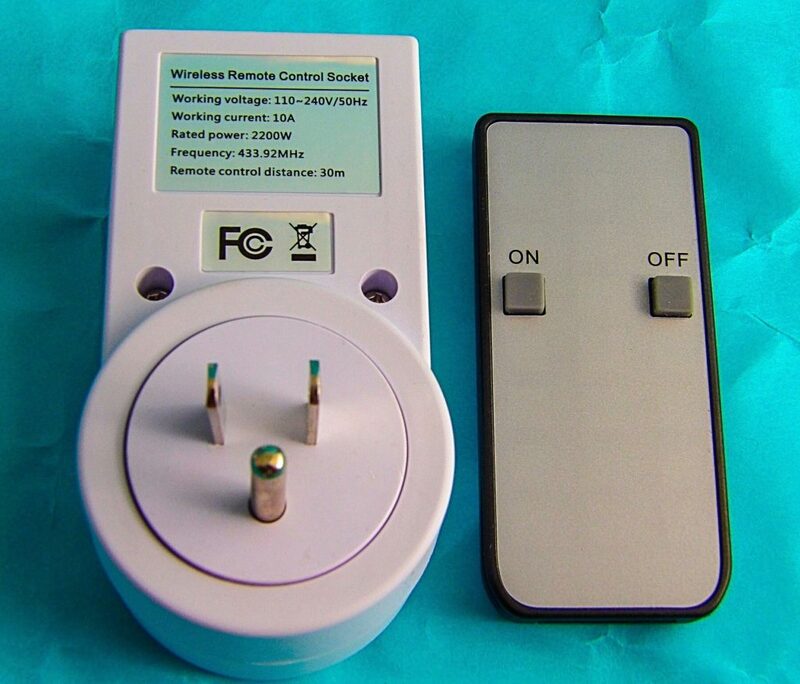 While outdoor lights can be set on a timer, spotlights and high powered lights can be turned on and off with this device. 3) Turning off electronics from hard to reach outlets: We all have that outlet that is a weird spot that involves contortions to reach. 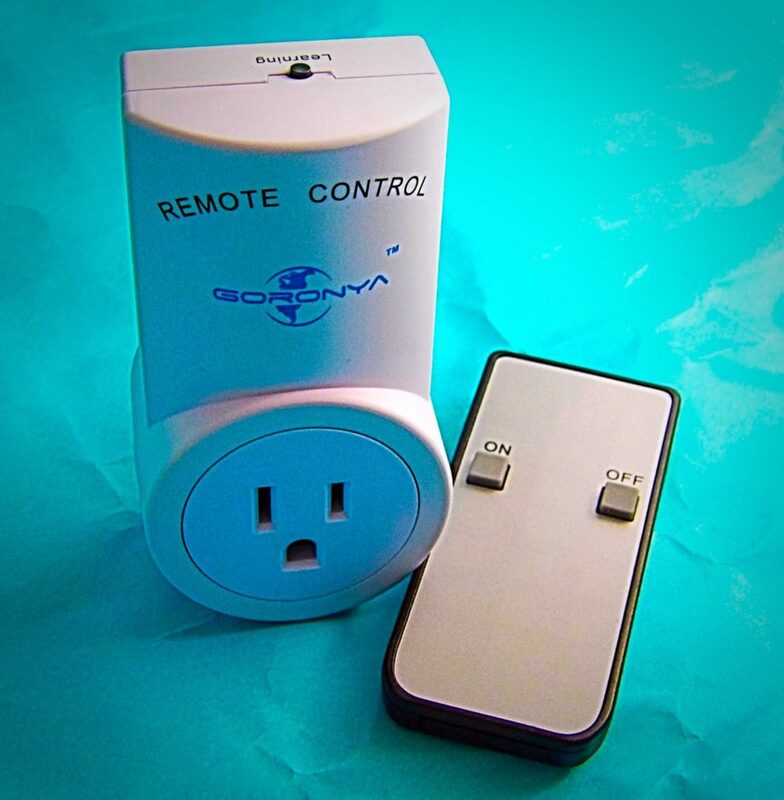 As long as it is safe to leave the device plugged in, why not just use the Goronya Wireless Remote Control Outlet Switch Kit to turn it on and off? 4) Beauty Gadgets: My morning routine used to consist of showering, get my coffee started, heading to my vanity to turn on my T3 Curlers, and heading back downstairs to get my coffee while they heated up. Now, I have the remote downstairs near the coffee pot, and I can turn the curlers on from there via the remote. While it only saves a few minutes, I can always use an extra few minutes in the morning! Of course, make sure whatever you are plugging in can be left unattended. I wouldn’t use this remote with a curling iron, but a lamp or my T3 Curlers have safety features that make me feel comfortable leaving them for a few minutes until I am ready to use them. It’s a great deal at $12.59 today, so be sure to pick it up! I’m really enjoying mine and plan on picking up more! Ever feel like you are charging your phone so much that you basically are back to having a landline? It’s become a familiar sight to see people searching for spots in public to recharge their phones, tablets, and other devices. But thanks to the Nucharger Card Size Power Bank with Built-in Cable, you don’t have to be a slave to the public plug. We’ve all tried those cute little lipstick-shaped portable chargers, and while adorable, they don’t exactly give a full charge in an emergency. They also aren’t terribly versatile – I used to have to carry one for my Galaxy Tablet and Kindle Fire and another for my iPhone and iPad (I do not travel tech-light.) 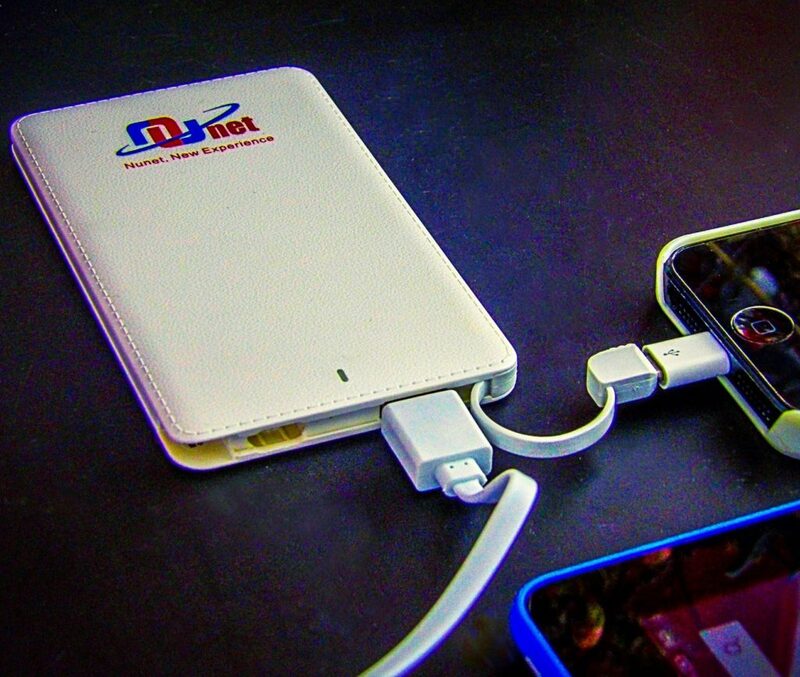 With the Nunet Nucharger Card Size Power Bank with Built-in Cable, you can either by Micro-USB or via the Lightning Port Attachment that fits right into the case and attaches easily. That is one of the great features of this Power Bank: the cord is built right into the bottom of the unit, so you don’t need to carry extra cables with you! Then there are the dreaded times that all of your devices are drained at once. Unlike other power banks, this one can charge two devices at once thanks to a USB port in addition to the built-in cord. So when I need to charge both my Kindle and my iPhone on the go, I can do so pretty quickly. I didn’t notice a huge difference in charging time between having one device plugged in and two devices. I am very impressed that the Power Bank itself charges quickly via the included USB to Micro-USB cord. The bank obviously is pretty powerful to be able to charge two devices relatively quickly (it has a capacity of 4000 mAh), so a charge time for the Power Bank itself that was less than three hours for me is impressive. It also stayed completely cool to the touch during the entire time it was charging, which is a definite plus for me. I hate having to check charging devices to see if they are getting too hot, and I don’t have to worry about this one. It is a good looking charger as well. It gives the appearance of white leather with stitching around the edge, and it is so small and light. You can easily throw it into a purse or case and always have it handy. I’ve so glad to have found this charger. I wish I had it for Fashion Week this year: I felt like my phone, iPad, and camera seemed to all drain at the same time. 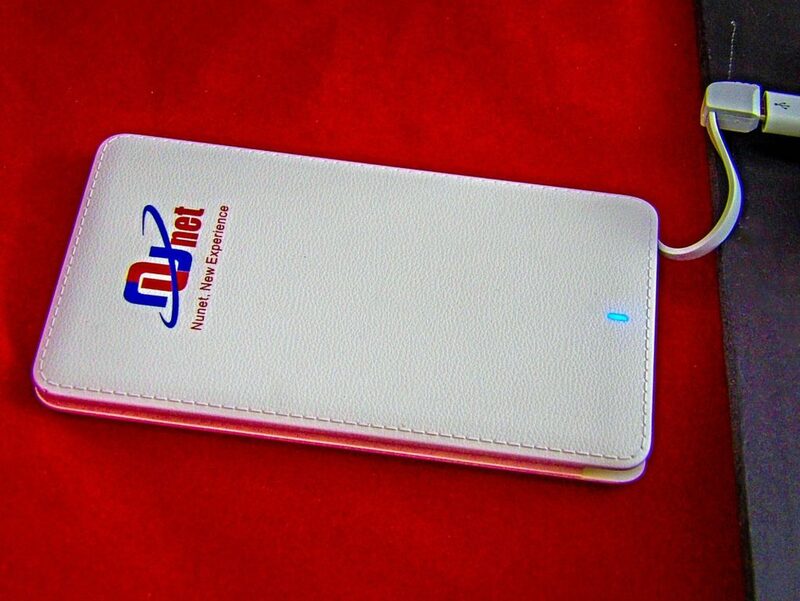 I could have kept them going longer if I had this handy little power bank a few weeks sooner! In an effort to bring style and beauty to my office, I have started to begrudge the device charging wires that litter my desk during the day. Additionally, I love when form meets function. 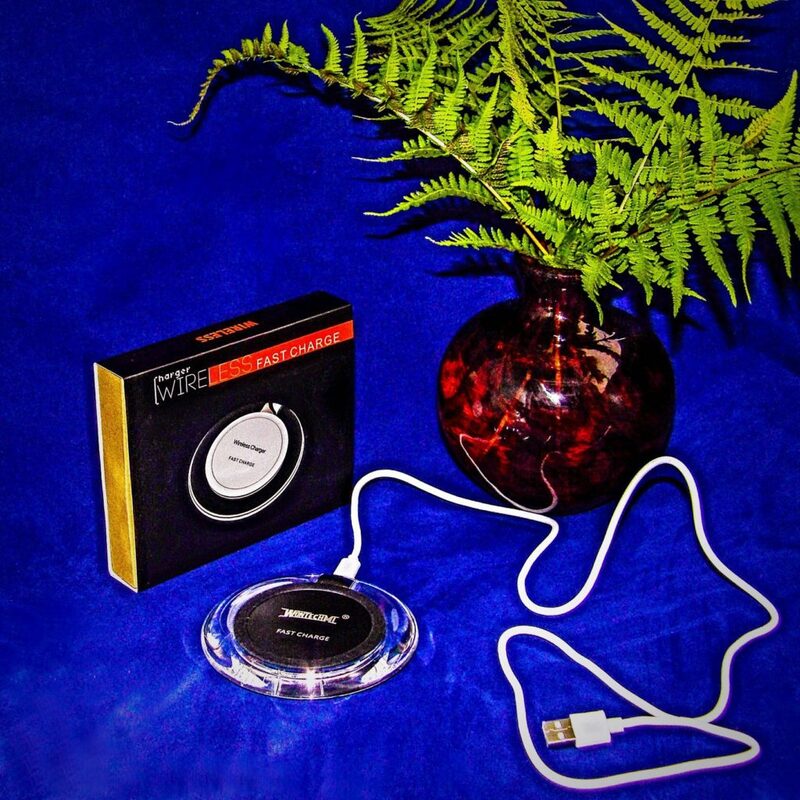 So I am thrilled to have found the Nunet Natural Bamboo Wireless Charger. 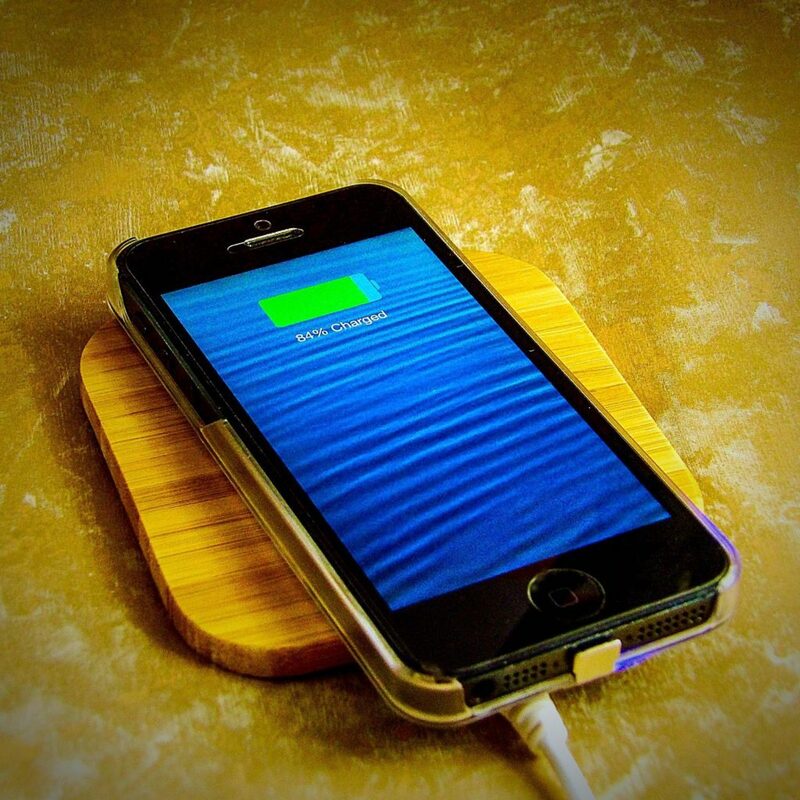 The Nunet Natural Bamboo Wireless Charger is a wireless charger for Qi-Enabled smartphones. 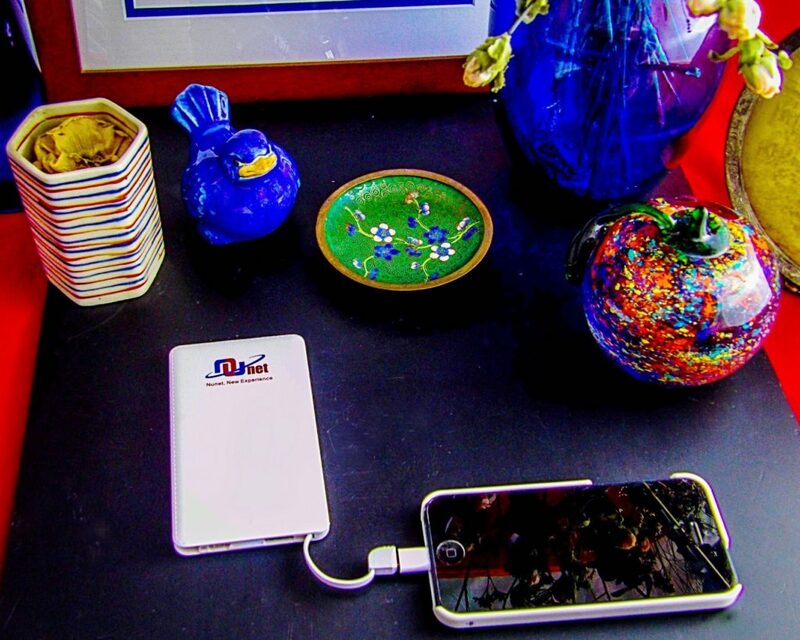 The Qi (pronounced “chee”) Standard uses Electro-Magnetic Induction to charge the battery of your smartphone. I love this technology because I have had so many cords break on me over time, and they always seem to do so far too soon. I was truly becoming frustrated when I ordered a three pack of brand-name Lightning Cords, and they all frayed at the base within a week! So needless to say, finding a great wireless charger feels like a true luxury! This charger is a delicate and compact device that looks absolutely exquisite on my desk. 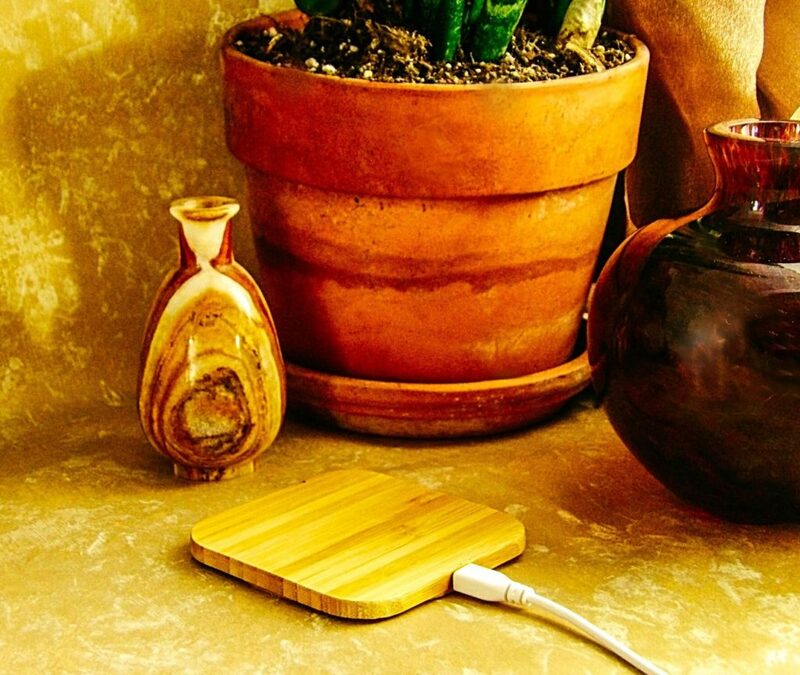 I tuck the micro-USB cord behind a plant, so the stunning bamboo charger appears more decorative than anything else. 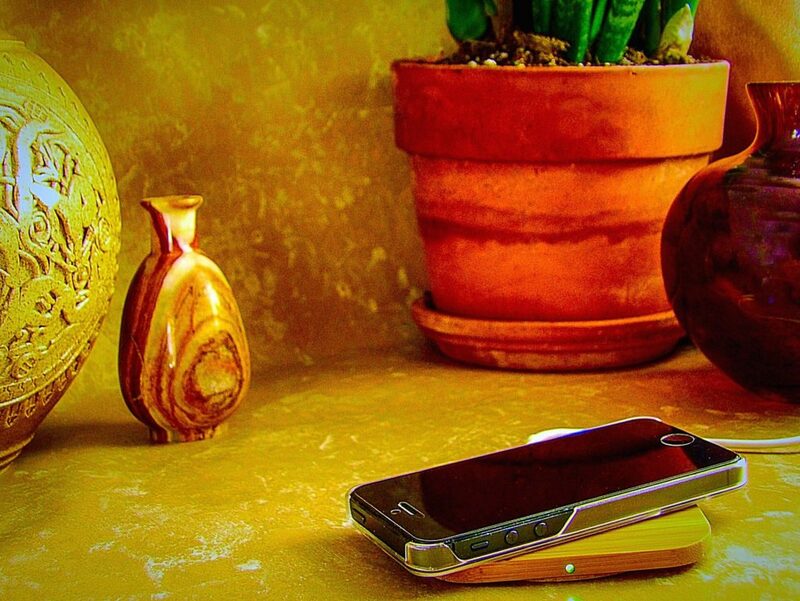 It looks more like a luxury phone holder than a charger, but it charges fast and easily! I charged my phone from 50% to 100% in less than an hour. There is a small light on the side that changes from red to green when it is charging, so you have the assurance that your phone is charging without having to check it. Need to use your phone? 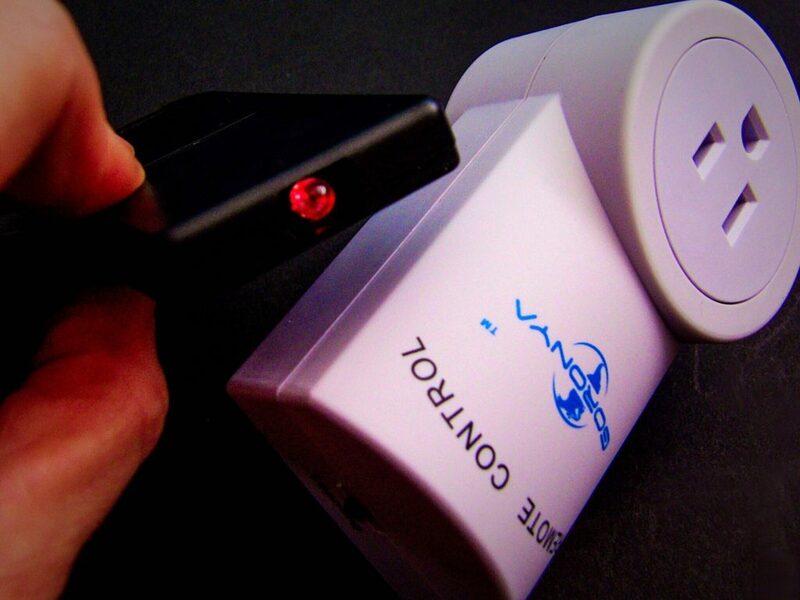 No problem – pick it up off the charger, and simply return it to the charger when you are done. Much easier than unplugging a cord every time you send a text! The grain on the bamboo is beautiful. I typically prefer darker woods, but the light color only adds to the well-crafted design of the charger. Using the charger is incredibly simple. Just place your phone on the charger, with the back of the phone on the charger. Since Electro-Magnetic Induction Charging works at short distances, it is best if you take off any case you have on your phone before charging. If your smartphone isn’t Qi Standard Enabled, don’t fret. It is easy to find a Qi-Enabled receiving pad that you can attach to your phone, and there are also phone cases that are Qi-Enabled (which you would leave on when charging.) Nunet makes some stunning Qi-Enabled cases for the iPhone 6 that are available on Amazon. I already had a Qi-Enabled Case for my iPhone 5, and it works fantastic with this charger. So even if you don’t have a Qi-Enabled smartphone, you can still use this gorgeous and useful wireless charger! 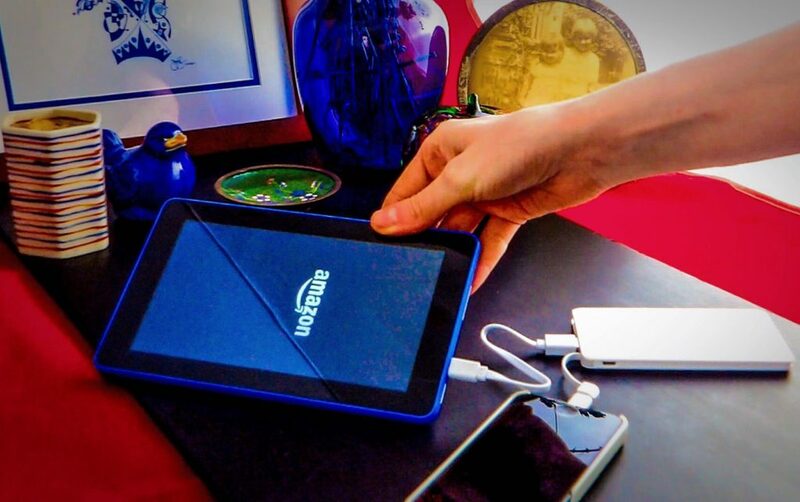 Find the Nunet Natural Bamboo Wireless Charger at Amazon. It comes in a heart shape too! There are a lot of devices and tablets to charge in my house, so our charging cords take a beating, and we frequently have to replace them. Additionally, I dislike having to put my phone in a weird spot in my office because that is the only available plug. Plus, cords aren’t exactly the most attractive piece of technology out there. 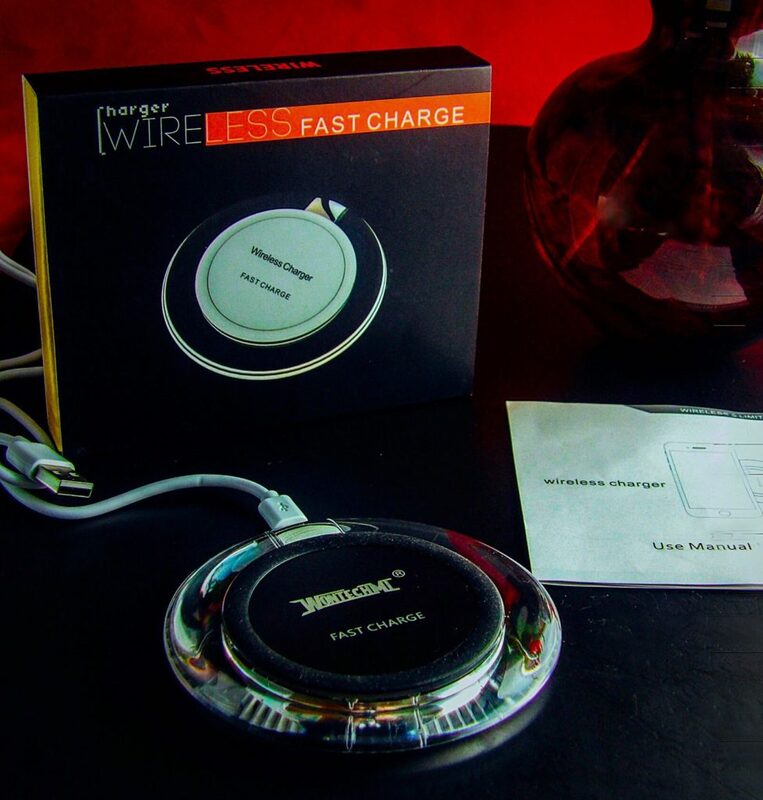 So, I eagerly started pursuing the world of wireless charging. I’ve seen some nice ones, but when I saw the sleek, futuristic look of the Wontechmi Fast Wireless Charger, I was sold. The Wontechmi Fast Wireless Charger uses the Qi Wireless Charging Standard. It’s quite interesting how it works. You simply put your Qi-Enabled device on the charging pad, and it automatically starts charging. No pairing like with a Bluetooth device, it just automatically starts charging. A blue light appears to let you know that your device is actively charging. If your phone rings when it is charging, you can just take it off the charger and answer it, and then return it to the charger when you are done. With no wires to have to unplug from the phone itself, it is easy and fast! 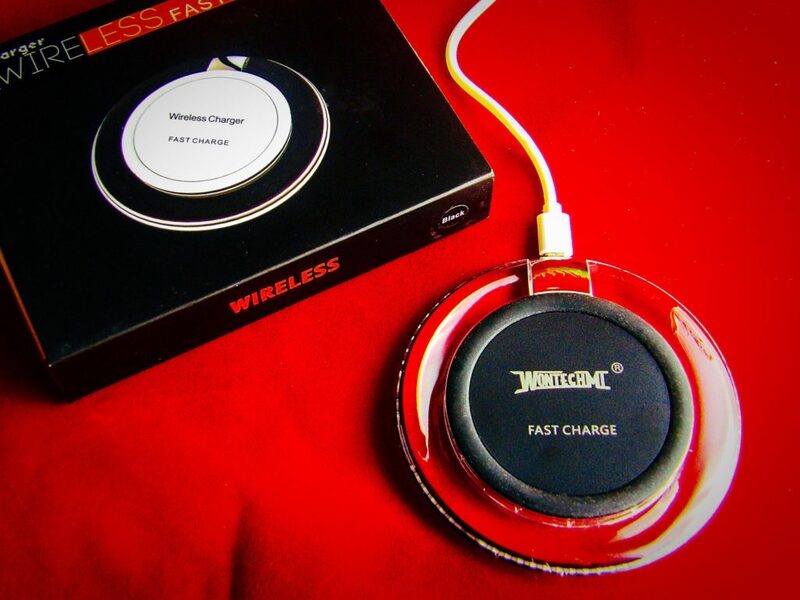 The Wontechmi Fast Wireless Charger works with any Qi Standard Compatible device. These include the Samsung Galaxy Note 7, Samsung S7, Samsung s7 edge, S6 and other Standard Qi-Enabled Devices. Check the manual that came with your device, I was surprised at how many devices are Qi-Enabled. I have an iPhone 5, which is not Qi Standard Compatible, but I picked up a Wireless Charging Receiver Case to use with my phone, and it works great. So if you have an iPhone 5 or another iPhone, you can still use the Wontechmi Fast Wireless Charger, you’ll just need to find a Qi-Enabled adapter, and there are plenty on the market. The manual says that the device might get a little warm when charging, but in the hour or so it took my iPhone to charge, it stayed cool the entire time. This is a refreshing change over the endless Lightning Cords that I’ve had to throw out because I was uncomfortable with how hot to the touch they became. The Wontechmi Fast Wireless Charger is quite sleek looking. There is a clear crystal ring around the black charging pad, and a black ring around the pad to keep your device from slipping. It keeps it in place quite well: I was able to move it around my desk several times and it the device didn’t budge. It plugs into a standard USB port, and can certainly be used with a USB power adapter. I’m thrilled with this product. It looks fantastic in my office; it keeps my phone handy, and it truly does charge my device fast without overheating. I like products that both look great and make my life easier, and the Wontechmi Fast Wireless Charger is both of those things. Buy it, and you will see how great it is! Buy the Wontechmi Fast Wireless Charger at their Amazon store.